When we went to Disney a few years ago, we went to a restaurant called Raglan Road in Downtown Disney. 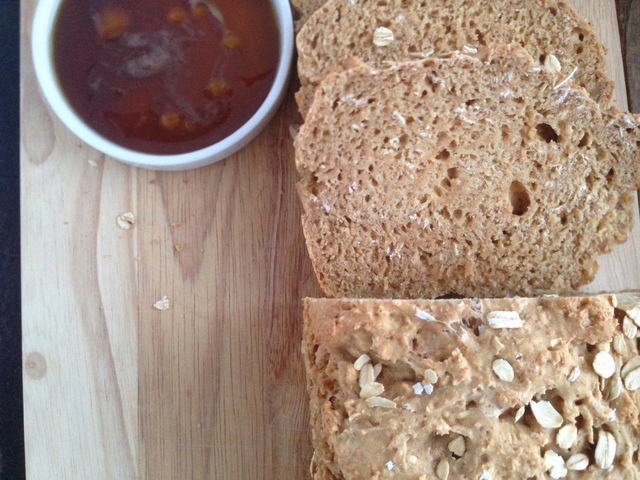 They serve this brown bread with Guinness dip and I just had to find a similar recipe. I tried two other recipes, but this was the keeper. The dip is amazing!! Combine all-purpose flour, whole-wheat flour, 1 cup rolled oats, salt, and baking soda in a large bowl. Whisk together buttermilk, Guinness, and molasses in a medium bowl. Add buttermilk mixture to flour mixture, mixing and folding dough by hand lightly; the mixture should be sticky. 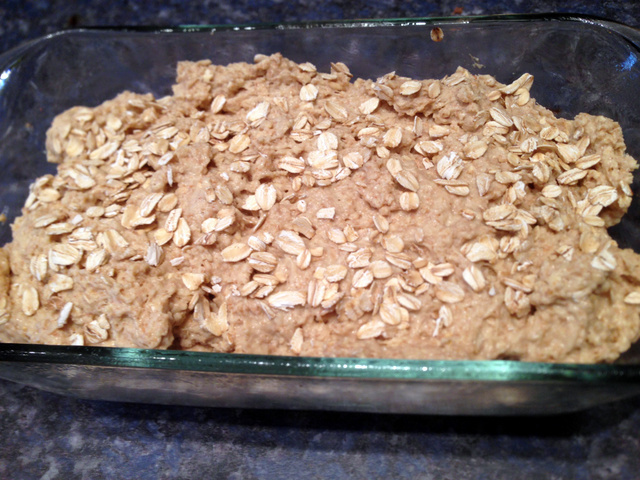 Transfer dough to prepared pan and sprinkle with remaining ½ cup oats, pressing lightly so it sticks. Bake until bread is golden brown and makes a hollow sound when top is tapped, about 55-60 minutes. Remove from pan and cool slightly before serving. Serve with Guinness Dip and olive oil. Combine the Guinness and sugar in a medium saucepan. Simmer until mixture is reduced by half and is thick and syrup-like, about 1 hour. Place ¼ cup olive oil in a saucer or small plate. 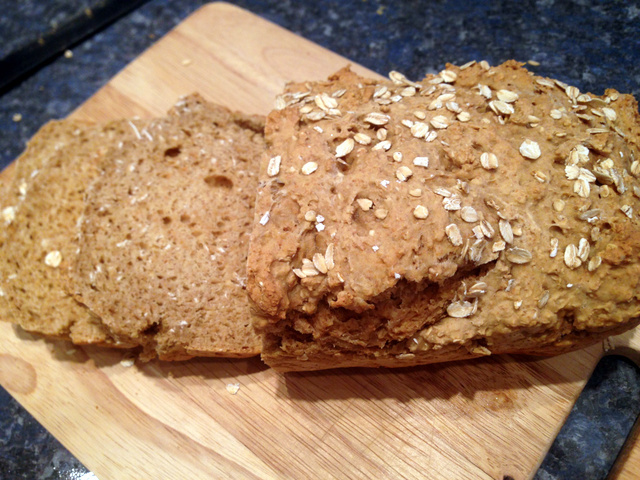 Drizzle with ¼ cup Guinness mixture to dip the bread in.